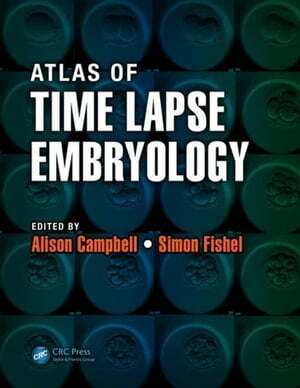 Collins Booksellers - Atlas of Time Lapse Embryology by Campbell, Alison, 9781482214475. Buy this book online. Unlike conventional single daily observations, time lapse technology provides hundreds of images, which allows pinpointing of key events in the embryo's in vitro development as well as the detection of brief but significant critical changes. This information is beneficial in selecting the most viable embryos from a cohort and increases the chances of a positive outcome. The Atlas of Time Lapse Embryology describes in detail the technology and techniques surrounding time lapse embryology. The book also covers the clinical aspects of time lapse imaging, morphokinetic timings, implantation data, fertilization, compaction, blastulation, irregular cleavages, multinucleation, vacuolation, zona defects, and other topics. The book is easy to read, practical, and illustrated with dozens of images and video clips to help explain a variety of concepts. It will help practitioners to better understand how time lapse monitoring may dramatically increase flexibility in the IVF clinic, and most importantly, enhance clinical outcomes.